President Erdoğan announced Saturday that Taksim will soon be home to a brand new opera house that will be Europe's largest so far, as Istanbul readies for new historical projects. President Recep Tayyip Erdoğan announced one of Istanbul's new historical projects on Saturday that Taksim will soon be home to a new opera house that will be Europe's largest. Taksim will soon be closed to all vehicle traffic and be the site of Europe's biggest opera house, Erdoğan said. Attending the launch of the 10-volume series, "Great Istanbul History from Antiquity to the 21st Century" in Istanbul, Erdoğan announced that a historical museum and an opera house will be built in Taksim. Saying that the historical fabric of the area would be preserved and that the opera house would be built in a way that reflects Istanbul's rich historical past and aesthetics, Erdoğan described the project as having special importance for Turkey's youth. Calling history "a compass shaping the future," the president said that attacks targeting schools in Turkey are hurting the country's youth and for this reason they need to be better educated on the history of their country. "We need to re-evaluate, re-interpret recent events, developments in our country and our region in light of history," he said, adding: "History is not only the story of the past." He also signaled many new projects for Istanbul, which he said will help the city take a step forward to the future. The opera house is planned be built in place of the Atatürk Cultural Center (AKM), Turkey's first opera house and multi-purpose cultural center. Built in the 1960s, the AKM building has been criticized over the years for its ugly architecture inspired by Stalinist designs. Sources have said that a design competition for the opera house is expected to be held in an effort to choose the best architecture and design suitable for one of the city's most visited districts. Erdoğan said another issue that requires courage is the rebuilding of the Halil Pasha Artillery Barracks in place of Gezi Park, which he said would be done. The Ottoman era barracks were built in late 18th century and demolished in 1940 as part of an urbanization program. 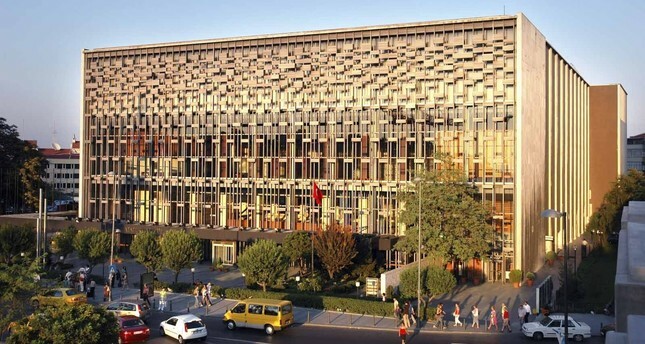 The government's plans to rebuild the barracks in 2013 sparked the nationwide Gezi Park protests starting in late May and lasting throughout the summer. The plan was suspended but Erdoğan said the rebuilding of the building would proceed as planned and that will be a museum. "One of the most important problems in Istanbul is the urbanization program that began in the 1930s, which was lacking esthetics and culture. Nor was it loyal to the historical fabric of the city. Especially what happened in the 1960s and 1970s was a tragedy. Still, it is important to rectify the mistakes. Better late than never." He said Istanbul is unique. "This city is different from the rest. That's why I'm in love with this city where I was born and grew up. We harmed this city of ours. There are houses where cows are bred in this city," he said, adding that illegal housing continues to be a problem across the city. He said beautifying Istanbul cannot happen without courage. "That's what I've been telling my prime minister." Once the broader Taksim Square project is finished, he said, the city center will be transformed. "We need a city center united with its history. Look at Rome, where people come and sit on steps. We need to utilize Istanbul's heritage," he said.